It is hard to believe that 2018 is almost over. Time is one thing I wish we were able to save up for a rainy day or just to slow things down. With November approaching as I write the column, I shudder to think of how busy we will be the next two months. 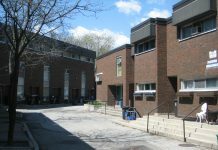 To start, we must prepare for The Buildings Show at the Metro Toronto Convention Centre from Nov. 28 to 30. Our next company call will be a review of the final touches to get ready. The show allows me to meet with many past and current clients, reconnecting in person instead of through the standard email and phone calls that have replaced normal business interactions. December for me is a short month to prepare materials and receive advertisers’ artwork before Christmas. It never fails that one or two advertisers miss the deadline and promise to deliver materials between Christmas and the New Year, so the question will be: Do we wait an extra week to go to press or not? The good thing about December is I have the chance to unplug from work for almost a whole week to be ready to hit the ground running in January. My busy season is during the months when the construction industry slows down due to the weather. More people have time to respond to calls or emails during the November to March period, planning for the year’s first six months. What are your holiday season plans? What do you have planned with your family? What work events and parties are in the works? Share how you may be volunteering your time or industry events/parties you will be hosting or attending, and I can provide coverage in the next issue. Just send me an email at chase@gtaconstructionreport.com. 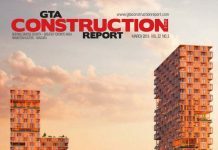 Construction News and Report Group as well as the associate publisher for the GTA Construction Report, Ontario Construction Report and the Canadian Design & Construction Report, as well as several US magazines. These publications reach tens of thousands of readers across Canada and the United States. 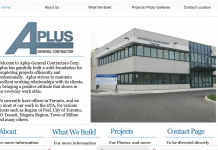 You can reach him at (905) 341-8686 or visit www.gtaconstructionreport.com.